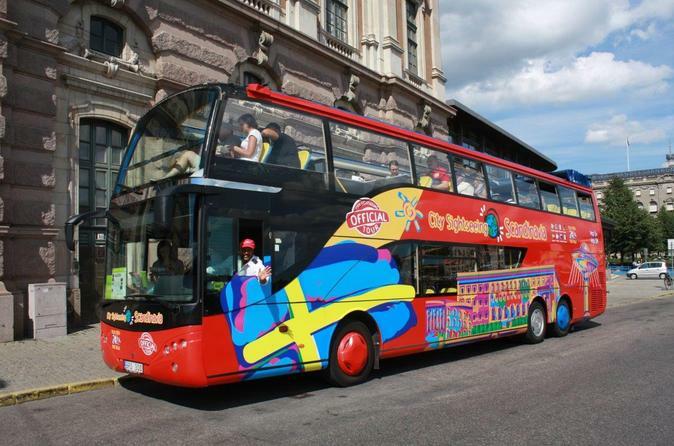 See the best of Stockholm, capital of Sweden, on this City Sightseeing hop-on hop-off sightseeing tour! 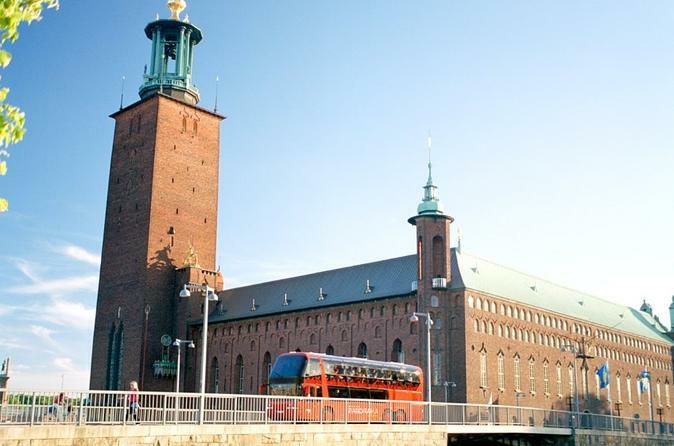 As you hop on and off the double-decker bus as many times as you like at any of the 14 stops around the city, you’ll have the chance to visit top Stockholm attractions such as the Skansen Museum, Gamla Stan, the Vasa Museum and Stockholm Royal Palace. 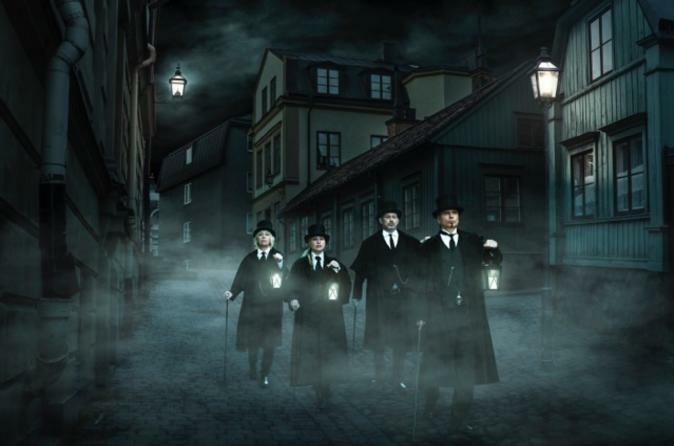 When Stockholm's museums have locked their ancient doors, when the stores are all closed and people have retreated to the safety of their homes, this is when the empty streets of Stockholm's Old Town are handed over to the spirits, vampires and to us. 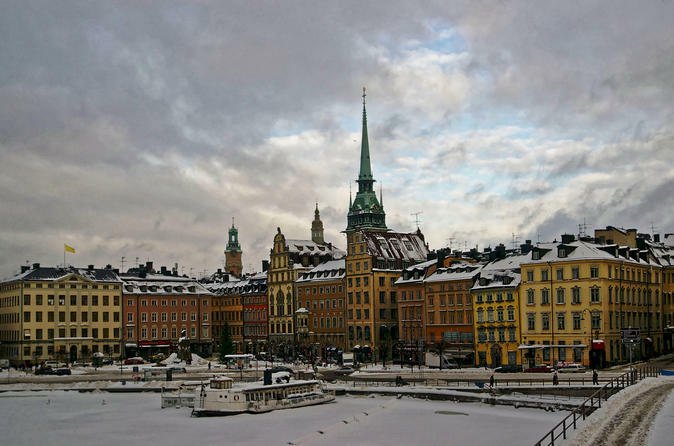 Stockholm's past will come to life on this 2hour walking tour. While in port in Stockholm, see all the city's highlights on a hop-on hop-off shore excursion. 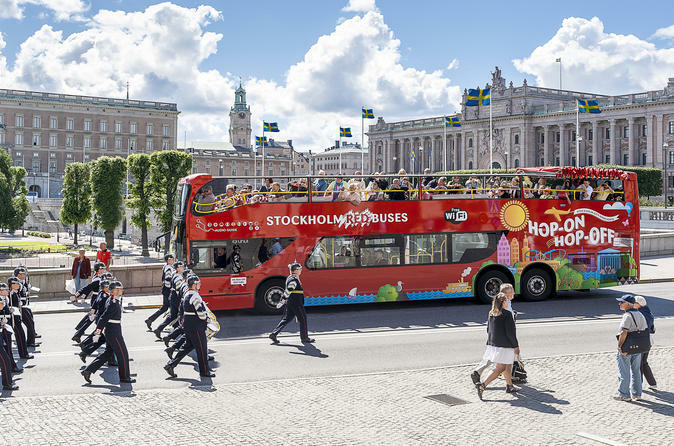 With your 24-hour ticket explore by open-top, double-decker bus — with a retractable roof for bad weather — and create your own sightseeing itinerary to visit the top Stockholm attractions of your choice, such as the Vasa Museum, Old Town, the Royal Palace, the Abba Museum or Gröna Lund. Enjoy commentary on board, and hop on and off as many times as you like along three different routes. You'll also enjoy discounts at select local museums and attractions. Eat your way around Stockholm on this 4-hour walking tour with a local guide! 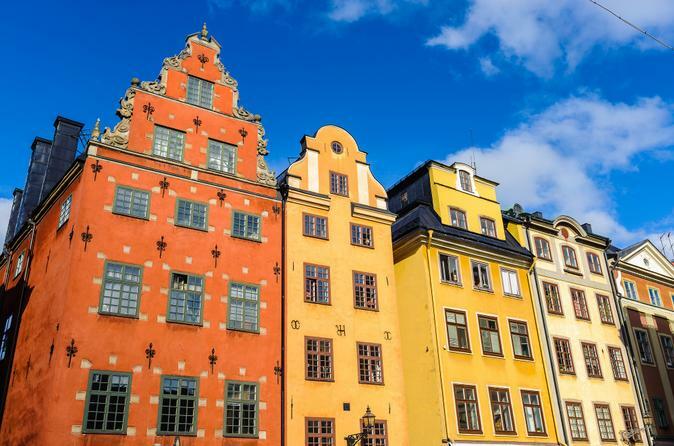 Explore Stockholm and Gamla Stan (Old Town), and learn about the evolution of Swedish cuisine, from the days when smoked reindeer and elk were everyday staples to its contemporary cuisine. Treat your tastebuds at the city’s oldest market, Östermalms Saluhall, and let them loose on ultra-rich hot chocolate, scrumptious seafood and your own 'fika' — Sweden’s favorite coffee and sweet treat combo. Lift the lid on Sweden’s rich Viking and medieval past on this enthralling full-day trip from Stockholm! Travel northward from the capital through Sweden’s picture-book countryside. See intricately carved runic stones and other relics that attest to the richness and complexity of Viking culture. Visit Sweden’s oldest town of Sigtuna, see the haunting religious sites of Gamla Uppsala (Old Uppsala), and enjoy time free to explore the historic town of Uppsala itself. Along the way, history is brought to life with informative insights from your guide. It's a great day out for history buffs! 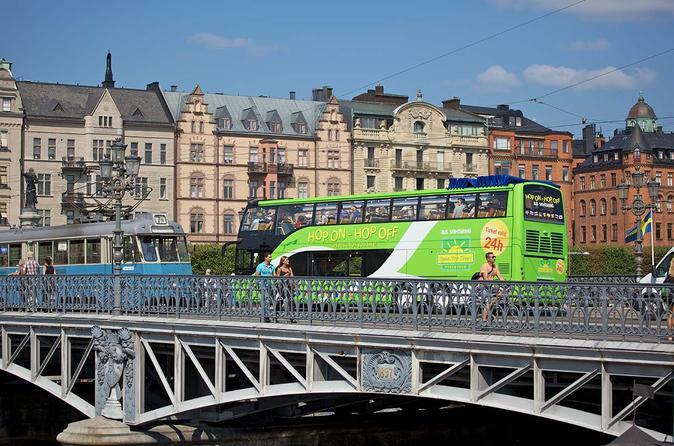 Experience the beautiful city of Stockholm on an open-air double-decker bus! Hop on and off as much as you like at any of the 21 conveniently located stops around the city. See the top attractions of Stockholm in 75 minutes on this comfortable and comprehensive coach tour! Settle into an air-conditioned coach and enjoy the views over the Swedish capital’s highlights, from the colorful townhouses of Gamla Stan (Old Town) to leafy Djurgården, Stockholm Royal Palace (Kungliga Slottet) and many more. With interesting audio commentary to bring the sights alive and no pickup or drop-off stops on route, it's a great introduction to the city famed as the ‘Venice of the North.’ Ideal for first-time visitors and anyone short on time! 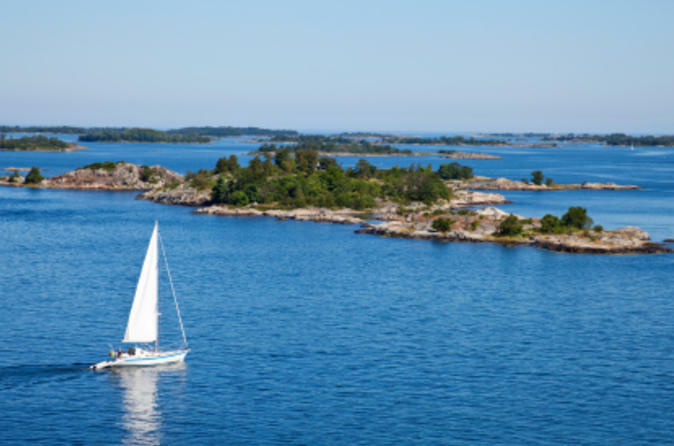 Sail around Stockholm’s spectacular archipelago by yacht on this full-day sailing adventure! As you cruise, try sailing the yacht yourself under the watchful eye of the skipper, and become one of the crew by helping to handle the vessel. Stop at a picture-postcard island to swim or explore, and enjoy a delicious lunch on board during your voyage. With expert guidance from the start and all the equipment you need supplied, you don't need any prior sailing experience to take the helm or assist the crew: just lots of enthusiasm! 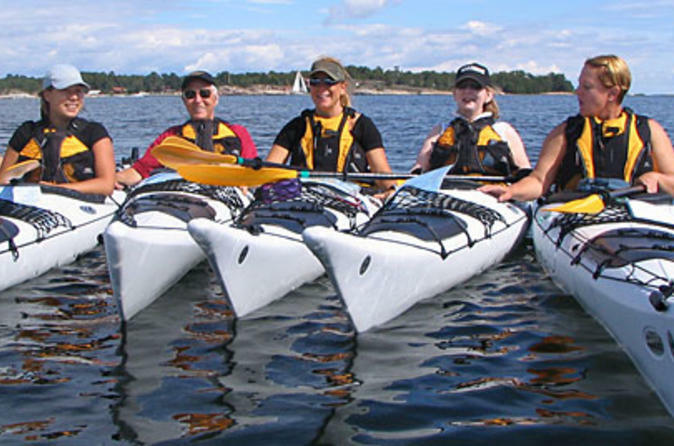 Experience the picturesque Stockholm archipelago up close on this full-day kayaking tour, the most adventurous and eco-friendly way to explore the raw beauty of Sweden’s unspoiled wilderness. Learn paddling techniques, get fitted in your gear and follow your guide on a scenic kayak trip around the islands. 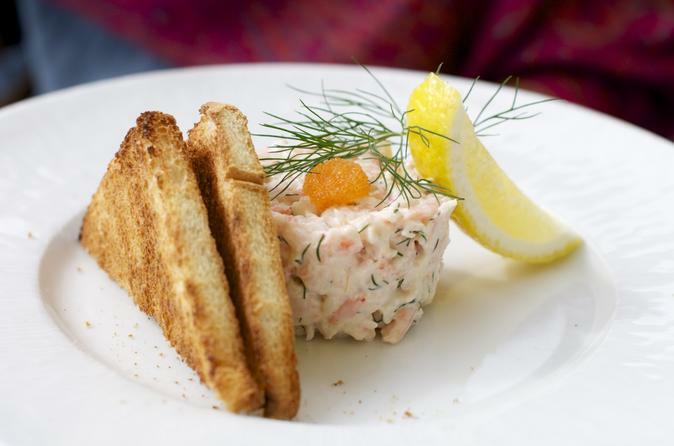 Have lunch and take a swim on a secluded island, and enjoy traditional Swedish afternoon tea when you return. This kayak tour is suitable for all levels. Admire Stockholm at night and capture its sights on camera on this 3-hour photography and walking tour! A professional photographer guides you on how to shoot the city’s landmarks, such as the Old Town and Royal Palace, as the descending darkness casts them in a new light. Learn the secrets of night photography and new creative techniques as you see the best of Stockholm! This tour is designed for people of all skill levels who use DSLR or compact cameras. The tour operates with a maximum of 10 people, ensuring a small-group experience. Excavate Sweden’s amazing Viking history on a 5-hour guided tour from the beautiful capital of Stockholm. Unveil the mystery of the Swedish Viking history with an expert local guide and visit great Viking sites of cultural and archaeological interest. 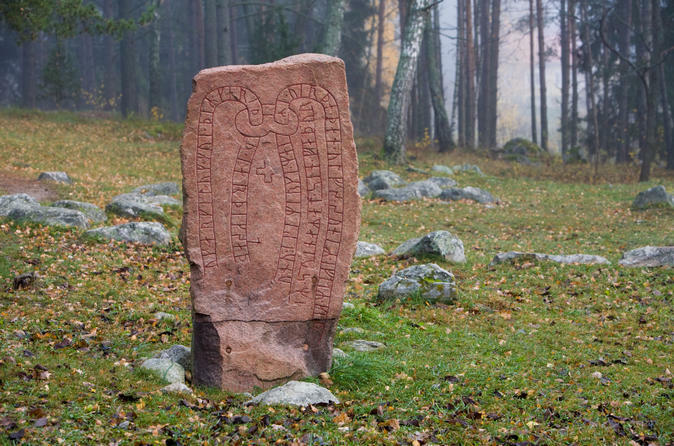 Gaze at beautiful rune stones and hear the stories they have to tell you. 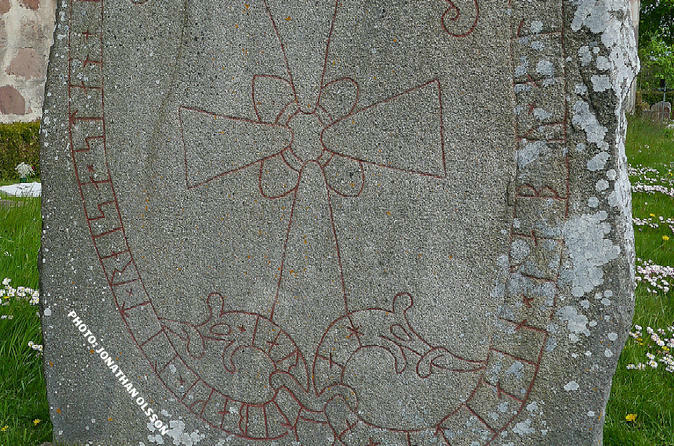 Visit one of Sweden’s most profound Vendel age sights and learn about the ancestors of the Vikings. Also hear tales about Viking mythology, war, legends and see replicas of excavation findings. Transportation from and back to Stockholm is included. Experience Stockholm’s city archipelago on this adventurous 2-hour kayaking tour that’s perfect for both experienced kayakers and beginners alike. 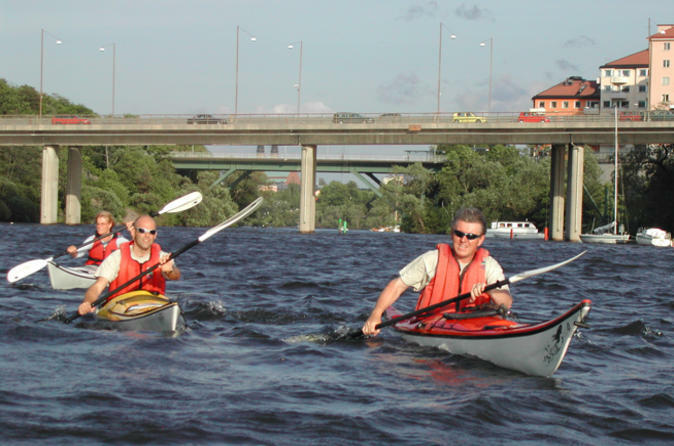 Meet your expert guide and head to one of Stockholm’s most protected bays to learn how to paddle a kayak. Then, embark on your exciting kayak tour to take in the city's central islands and picturesque bridges while viewing its highlights from the water. 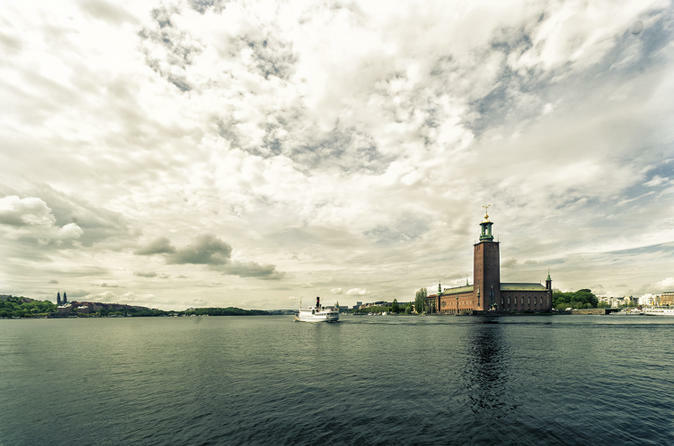 Look out for Stockholm City Hall, the Vasa Museum at Djurgården, Gröna Lund theme park and more. Delve into the Viking roots and wider history of Stockholm on this fascinating 1.5-hour private walking tour. Led by your very own, expert local guide outfitted in Viking costume, opt to wear a supplied, fun Viking helmet and stroll the cobbled streets of Gamla Stan (Old Town) past top Stockholm attractions such as the Stockholm Royal Palace (Kungliga Slotten), Parliament and more. Hear gripping tales about Sweden’s Vikings, discover hidden sites tucked off the tourist trail, and learn about Stockholm’s history from the Ice Age to the present day. 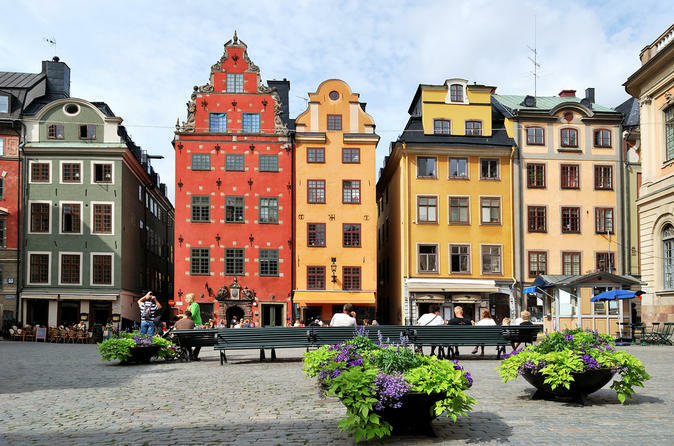 Hear historical tidbits and tales of medieval Stockholm aplenty on this 1-hour walking tour around the city’s Old Town: Gamla Stan. With a knowledgeable local guide at your side, wander around the atmospheric streets and admire the elegant architecture while learning about Stockholm’s history, people and local legends. Sights of top Stockholm attractions such as the Järnpojken statue, the square of Stortorget and the magnificent Royal Palace of Stockholm are also taken in on the leisurely paced walk. Join us on our adventures inside the restaurants that have impacted Sweden's culinary scene. 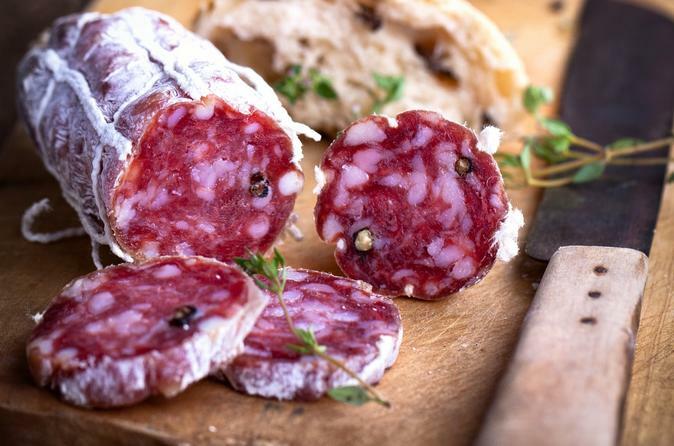 We will lead you on an exploration of the history, roots and reasons Sweden is becoming a major food destination for locals and world travellers alike! When your cruise ship docks in Stockholm see the best of the capital of Sweden, on this City Sightseeing hop-on hop-off tour! 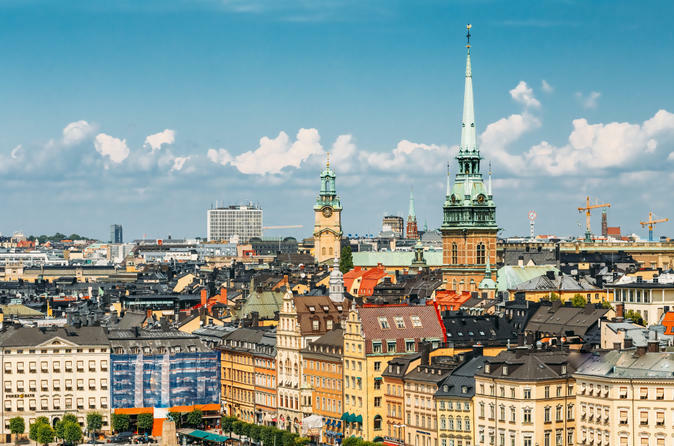 As you hop on and off the double-decker bus as many times as you like at any of the 14 stops around the city, you’ll have the chance to visit top Stockholm attractions such as the Skansen Museum, Gamla Stan, the Vasa Museum and Stockholm Royal Palace. Admire three of Stockholm’s highlights on this absorbing 2.5-hour private walking tour. Led by a private guide, explore the charm-laden Gamla Stan (Stockholm Old Town) to see its beautiful Coronation Church and Stockholm Palace. Then, ride a ferry to Djurgården Island to visit the fascinating Vasa Museum. This impressive venue houses the 'Vasa,' a massive warship that sank in 1628 and that has been meticulously restored to its former glory. A fascinating introduction to three of Stockholm's gems, this private tour ensures you enjoy in-depth attention from the guide. Your vacation photos will never look the same after a 3-hour photography and walking tour of Stockholm. A professional photographer guides you around the city for fantastic shots of its finest landmarks, from the Old Town to the Royal Palace. Learn insider tips on everything from lighting to composition, and discover more about Stockholm’s history along the way. Want to show off your newfound skills? After the tour, upload your photos to a website to compete for a prize! Ideal for all skill levels, this tour operates with a maximum of 12 people, ensuring a small-group experience. With Stockholm Prepaid Card you get access to a wide selection of attractions, museums, and sightseeing tours. It also gives you unlimited use of the public transportation system for 24 or 72 hours. The card is non personal and can be used by the whole family (local transportation card only valid for 1 person at a time). 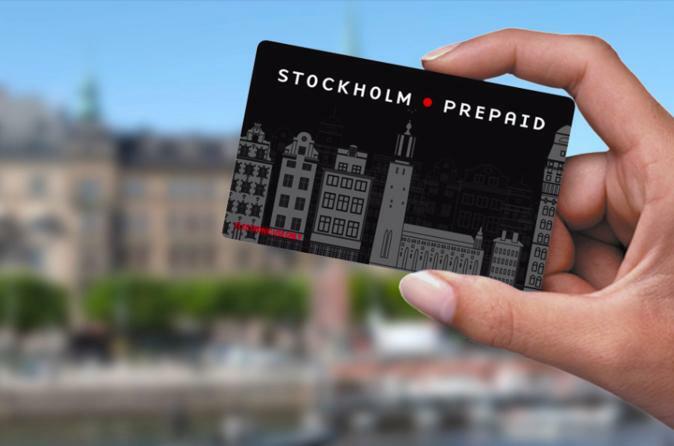 The Stockholm Prepaid Card is available in two varieties SEK 500 and SEK 1000, and is valid for 12 months. 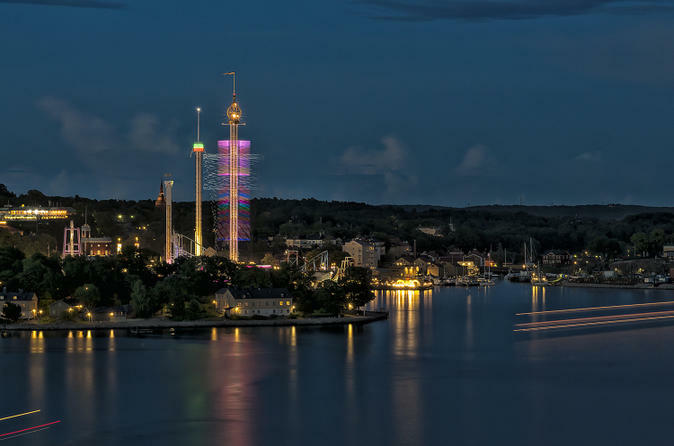 Choose from top attraction such as The Vasamuseum, Tivoli Gröna Lund, Red Buses Hop-On Hop-Off Sightseeing Tours, Haga Ocean, The Museum of Spirits, Skyview and many many more. 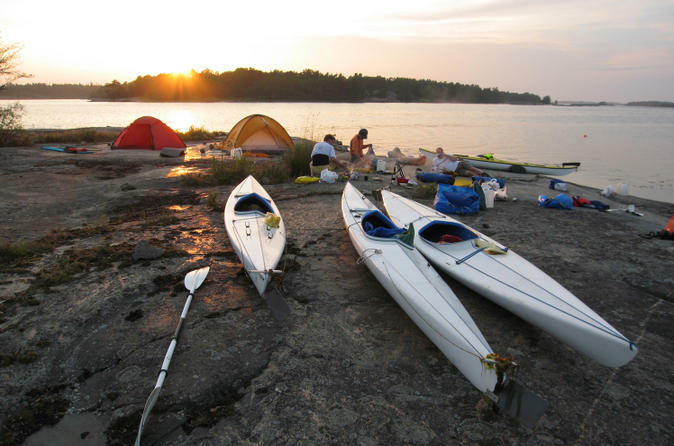 Explore one of Europe’s last wildernesses on this 3-day kayaking and camping tour in the Stockholm archipelago! Led by an expert guide, paddle around the islands by day, and camp by night on the secluded islets. Glide along passages inhabited by seals and oystercatchers, stop to visit harbor villages, and discover the islands’ flora, fauna and history. Your tent, kayak and meals are provided, and you can choose from a beginner or intermediate tour. This small-group tour has a maximum of eight people, ensuring personalized attention from your guide. Dig up some Viking history during this 3-hour history tour from Stockholm. 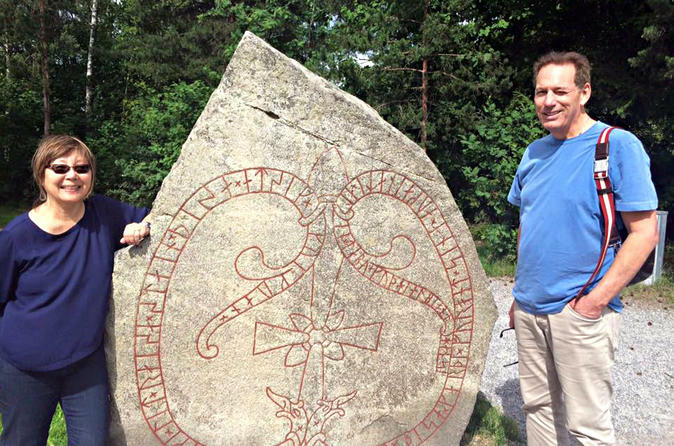 In the company of a knowledgeable local guide, learn about the Viking Swedes and their impact on Swedish history. Visit the well-preserved Arkils Viking parliament, one of Sweden's most famous gravefields at Broby bro and see the amazing Jarlabanke's bridge. View some ancient rune stones and hear their messages, including the great Viking woman Estrid and the all-powerful lord Jarlabanke. Also hear tales about Viking mythology, war, legends and see replicas of excavation findings.